Of pretty florals, chic pastels and classic elegance, there’s no stopping this timeless theme as it continues to charm us again and again. Believe it or not, Shabby Chic or Cath Kidston-themed parties are still in demand. After all, this theme is the epitome of girlyness! The thing I love most about this theme is that it can extend its gorgeousness to other party themes, as well. From tea parties, garden soirees, little birds, bunnies, owls and much more, you can easily mix and combine these themes with a dash of shabby chic-ish vibe. 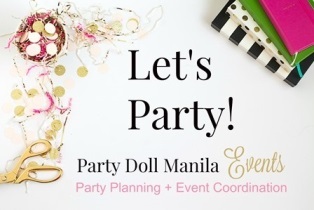 I want to give a special shout-out to the awesome Tings Ramirez of Paper Garland Design Kids for sharing with us this oh-so-pretty party printables. Mind you, you can download their Special Shabby Chic Party Pack for FREE! Honestly, the creativity of this lady together with her sister Chitty is mind-blowing fabulous! To see more of their work, check out their page. What’s included in their “Tweet, tweet, so sweet” party pack? A simple DIY guide for the treat bag. Aside from their fantastic couture invites and other paper arts, they recently launched a new addition to their products and services – Edible Printing. Now you can print your most treasured photos, favorite characters, brands and artworks to your cupcakes, cakes, cookies, brownies and more. How cool is that? Aside from making your dessert table look extra pretty, these babies can also serve as your giveaways to your family, friends and clients. So, to download your FREE shabby chic printables by Paper Garland Design Kids, click HERE.